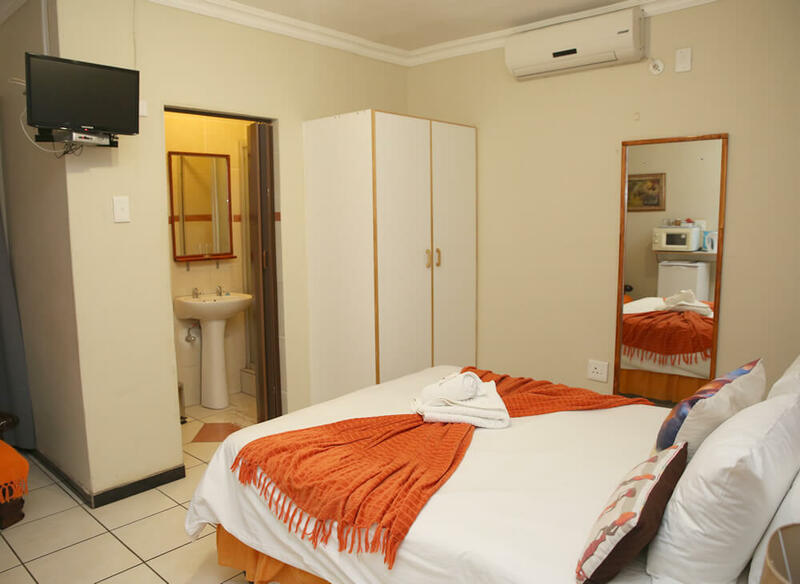 This unit is equipped with one doublebed and two single beds, ideal for a family or business associates looking for a convenient overnight stay. 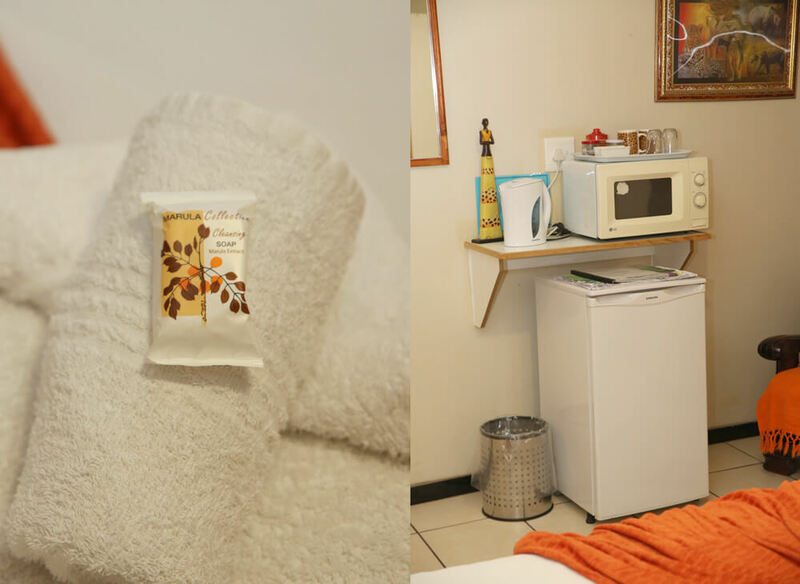 It has a self-catering kitchen equipped with all the nessesary amenities. 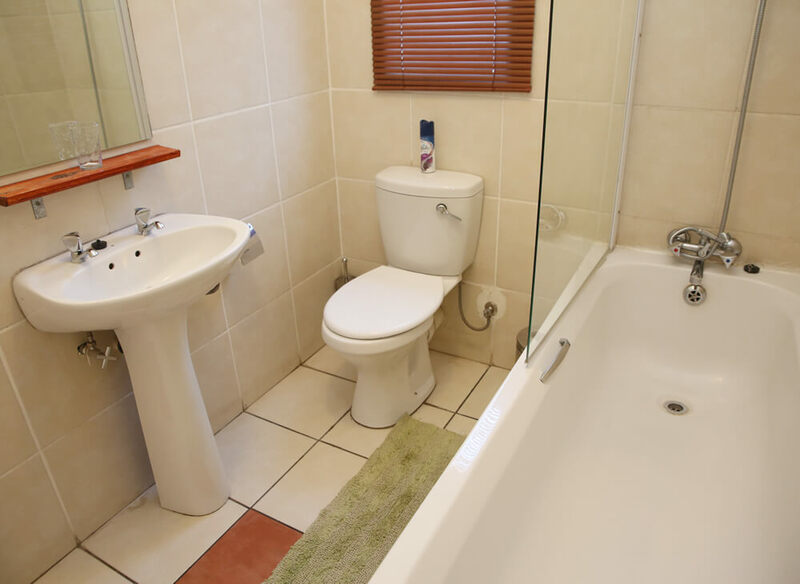 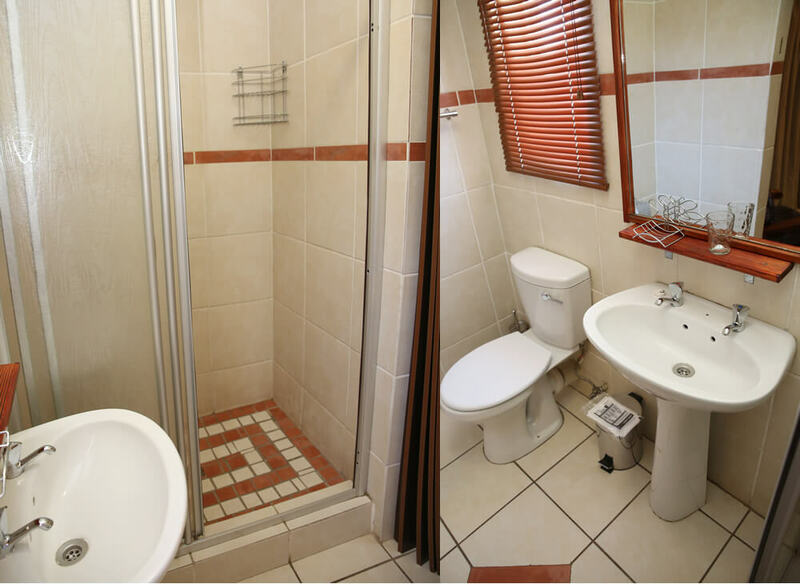 En-suite shower/bath, airconditioning and free Wi-Fi. 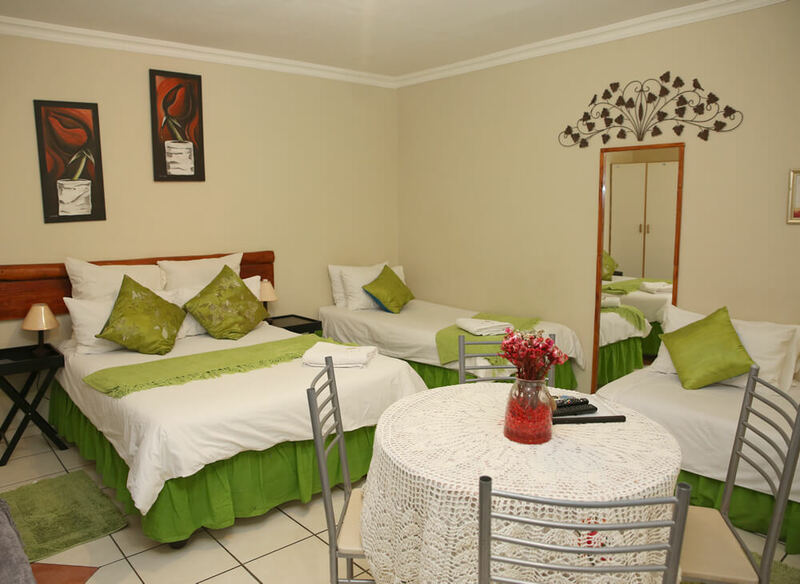 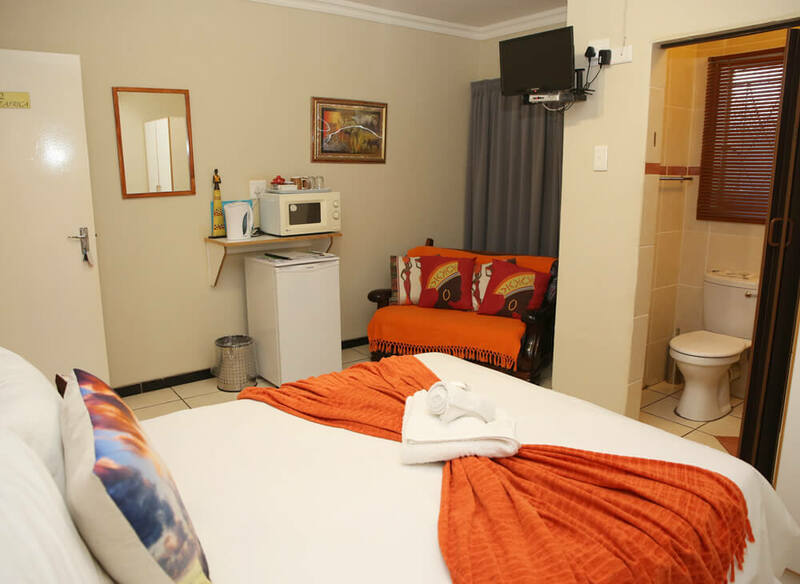 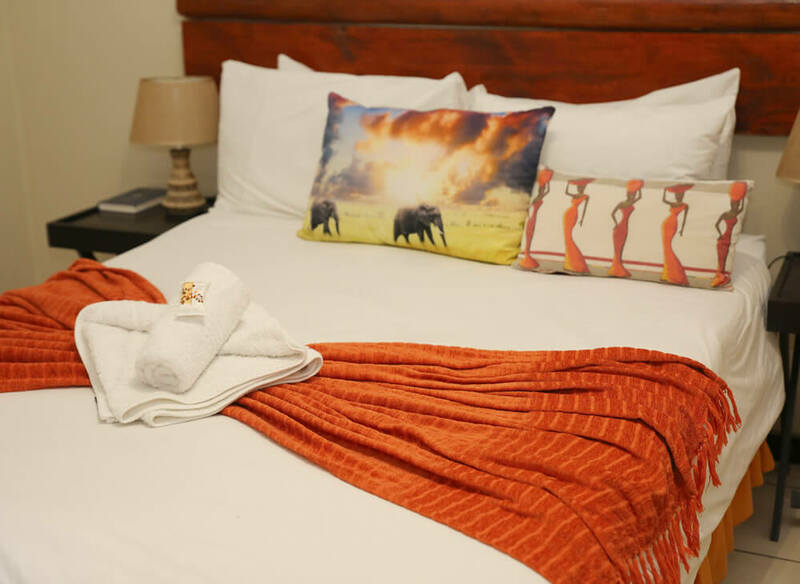 Book the room for R850.00, excluding R80.00 per person breakfast. 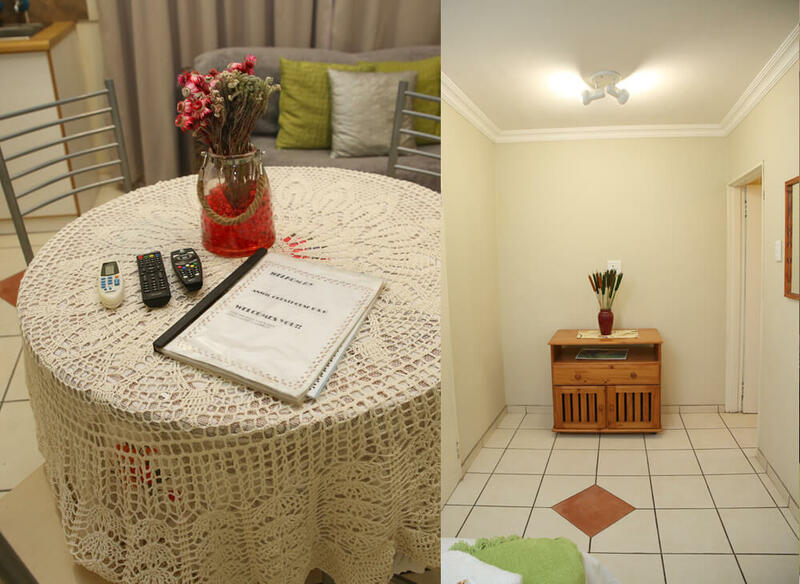 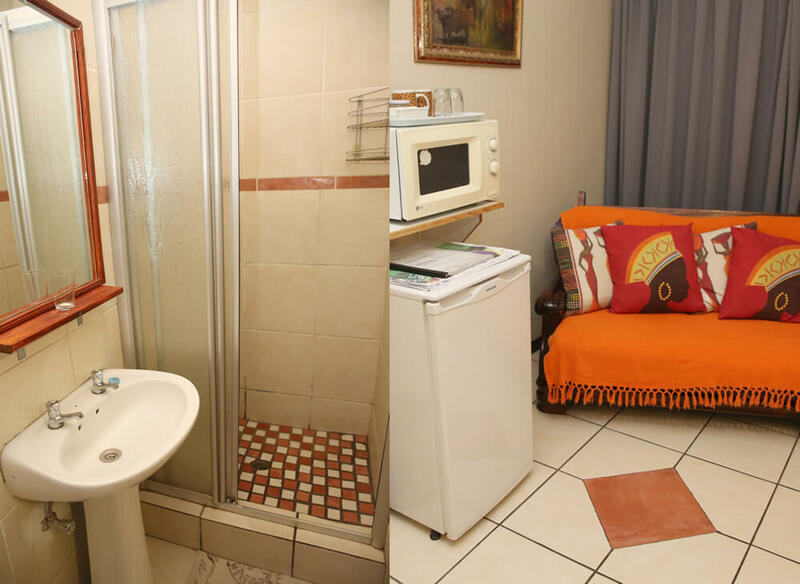 This unit is equipped with one doublebed and an ensuite bathroom with shower. 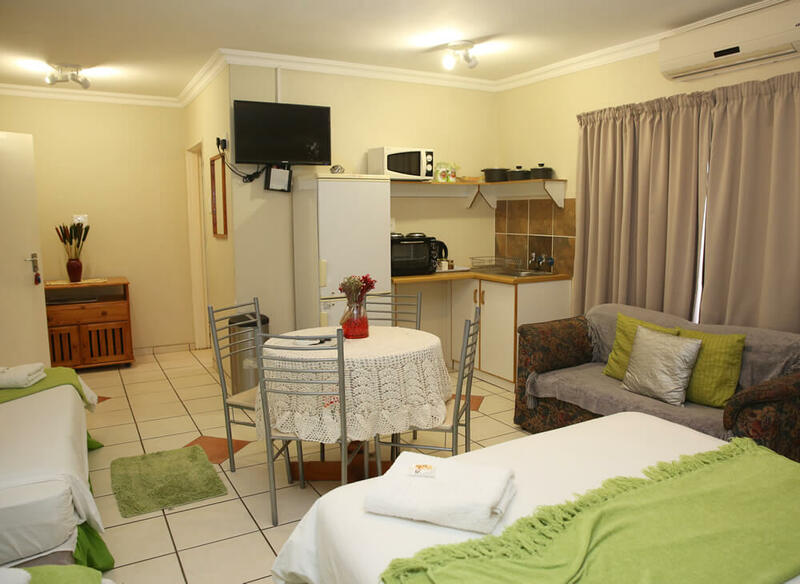 It is self-catering and equipped with all the nessesary amenities. 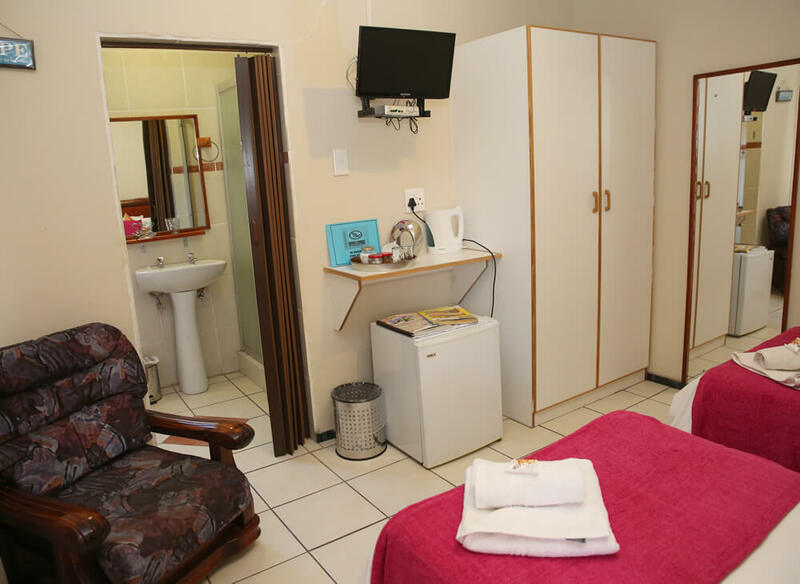 Airconditioning and free Wi-Fi. 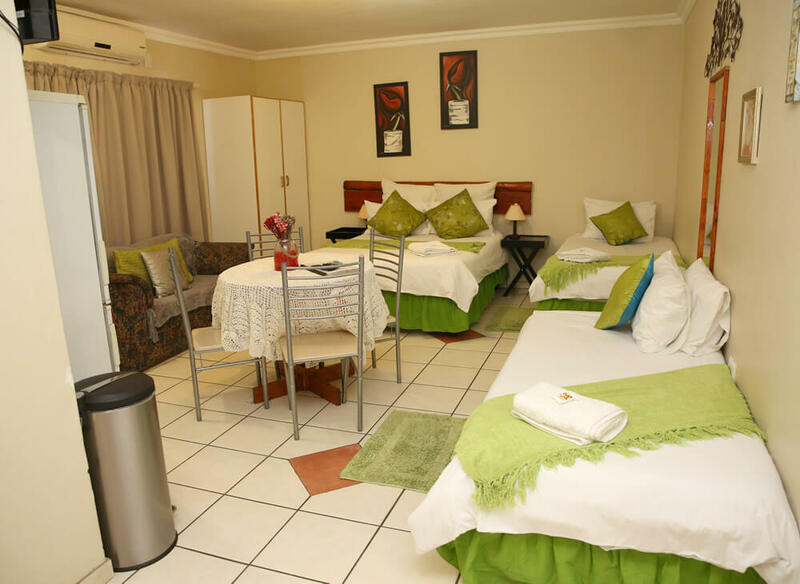 Book the room for R650.00, excluding R80.00 per person breakfast. 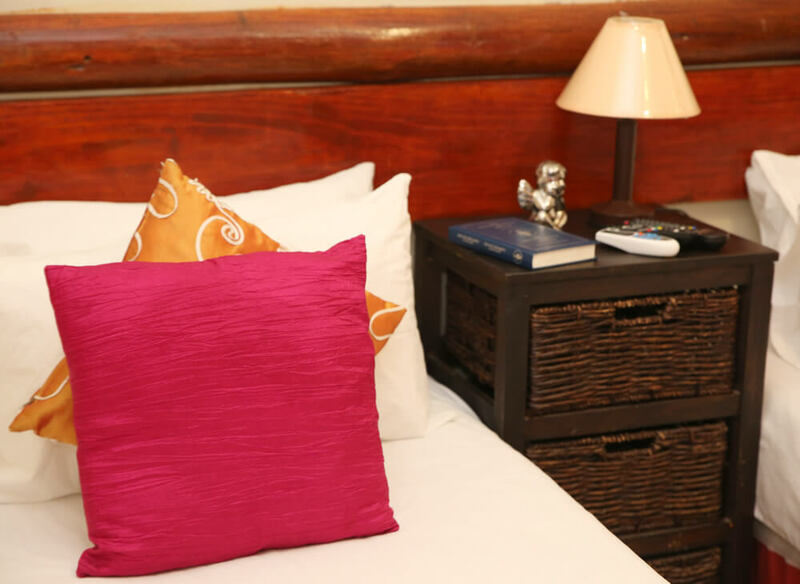 These units are equipped with two single beds that can be converted to a kingsize and equipped with all the nessesary amenities. 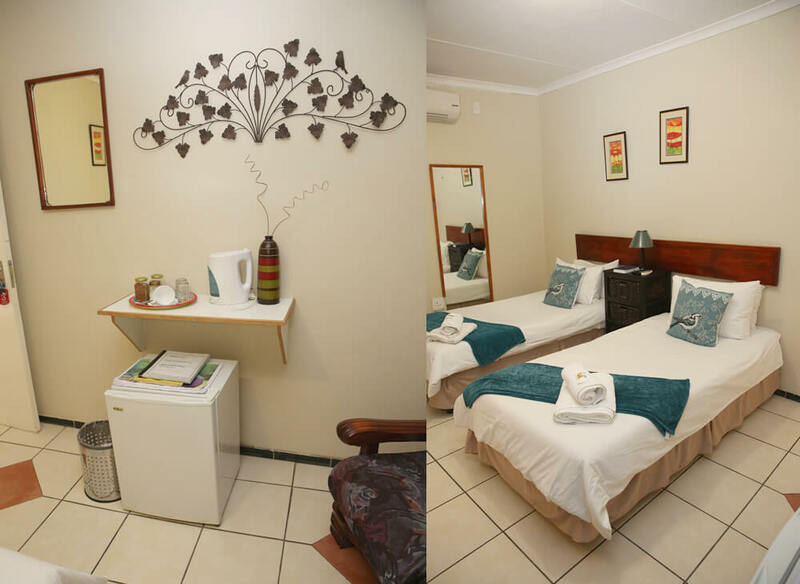 En-suite shower, coffee and tea facilities, airconditioning and free Wi-Fi. 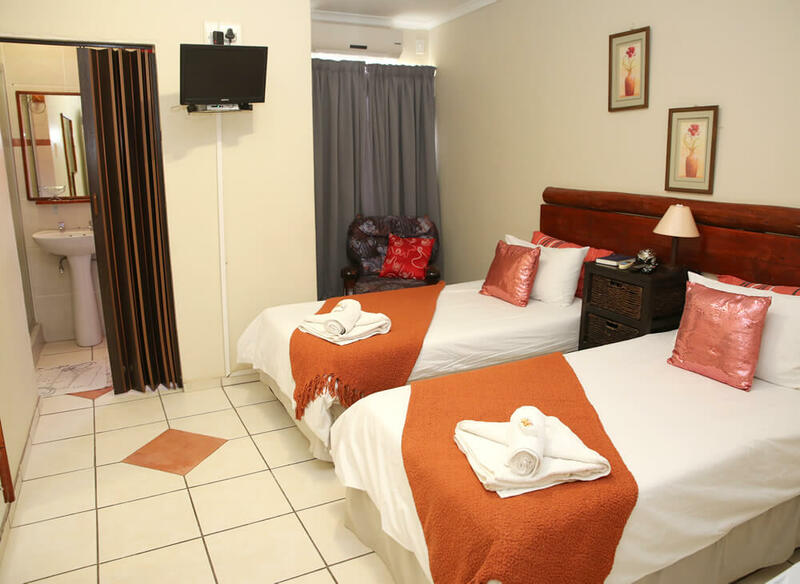 Book the room for R550.00, excluding R80.00 per person breakfast.